Some of the places Ignite students and alumni have or are currently serving. We would love for you to join us for one of our upcoming mission trips. If you have any questions, PLEASE contact Jeffrey. In the past five years, Ignite has taken mission trips to Guatemala City, Guatemala - L'viv, Ukraine - Hauncayo, Peru - Anchorage, Alaska - Houston, TX - and Memphis, TN. In addition, you can see on the map the many locations where Ignite has either taken a mission trip or has sent students on short and long term missions over the past few years. We will be working with a ministry that is organizing groups to come down and provide help for the rebuilding process on the island of Vieques, off the coast of the main island of Puerto Rico. No professional construction experience is required. The specific dates and costs of this trip will be determined once we have a more definitive idea of the number of people we have going and the airfare that we can secure. The cost will probably be somewhere between $1000 and $1100. $500 will be due by Jan. 16th, 2019 so we can purchase our airfare. - A multiple week trip to Ukraine where we will work with local church and ministry leaders to host a Christian camp for youth and young adults. 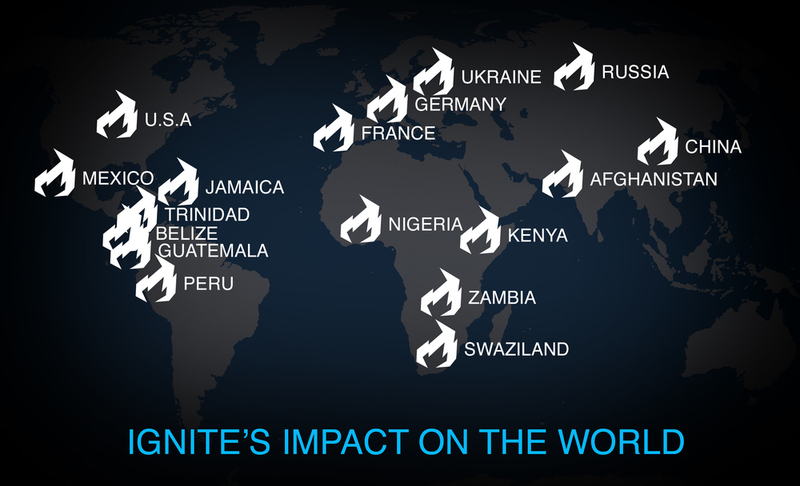 Ignite has worked with these camps over the past 6 years and has an established relationship with these ministries. We will also partner with a campus ministry in L'viv to work with our friends and the local church ministries to love on and bless the people of L’viv. We will remain in Western Ukraine and will not be close to the center of the tensions in Eastern Ukraine and Russia. We would not look to take this trip if we did not believe it was safe. Jeffrey will be happy to speak to anyone or their parents or family if that is needed. There will probably be scholarships available for this trip. The cost of this trip will be around $2000, but with several scholarships available. With a scholarship (limited number available) the cost could be closer to $1500. Students raise all of their money for these trips with the help of friends and family and all money raised can be submitted for tax exemption. Please don't let money be the reason why you may not consider participating in a mission trip! Serving the global church is an incredible way to grow in your own discipleship and have a lasting effect on the lives of many people. If you would like to know more about why we believe in Mission Trips or if there is a Biblical basis for mission trips, please use this document for more information. After you have thought about which trip you may want to participate in, please fill out the form below and submit your information. You can use this document for information regarding sending support letters and how financial support should be collected. Choose the trip you would like to sign up for. I agree to pay my deposit of $100 to secure my trip. If registering for a trip, I commit to cover all costs even if I change my mind after the registration deadlines. I agree to participate in all meetings and events in preparation for this trip, understanding the importance of becoming a team. For international trips only. If you're applying for the Puerto Rico trip, please just select that below. You must have your passport by March 2019 for the Ukraine trip. Please use the space below to express why you are interested in going on this trip. What do you feel like your purpose will be on this team? Please select below whether you have ever been on a mission trip before. Thank you! We will be in touch with you soon regarding this trip and further responsibilities associated with it. We are so glad you are wanting to be a part of expanding God's Kingdom in this way.